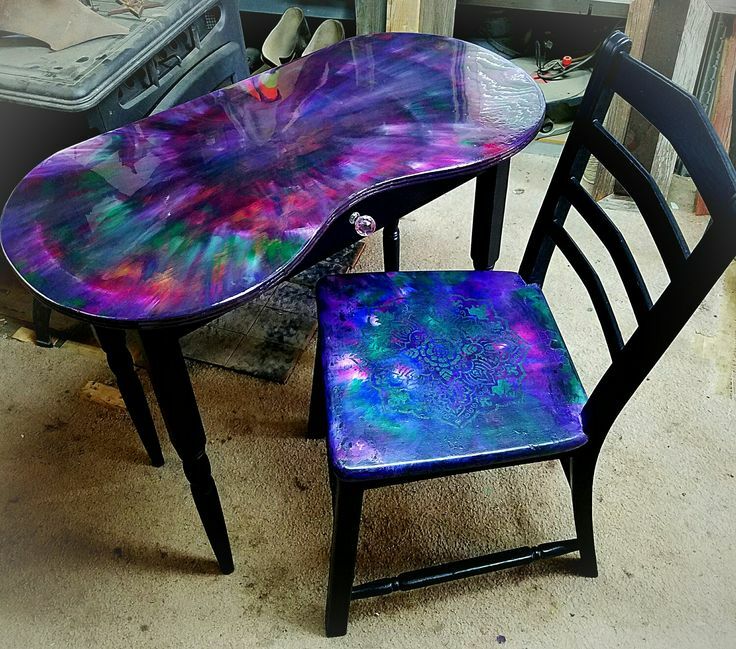 Chances are, while scrolling through the internet in search of a new project, you’ve come across stunning waterfall tables, glow in the dark bar tops, and table tops that look identical to galaxies. Many of these products can be sold for an upwards of $12,000. Yet what looks like a complex process is actually a common DIY method using colored epoxy resin. Any brand of epoxy will do when considering coloring it. The brands that advertise their epoxy as dryin﻿g clear are the best candidates for the job, as the resin tint will be more true to color. 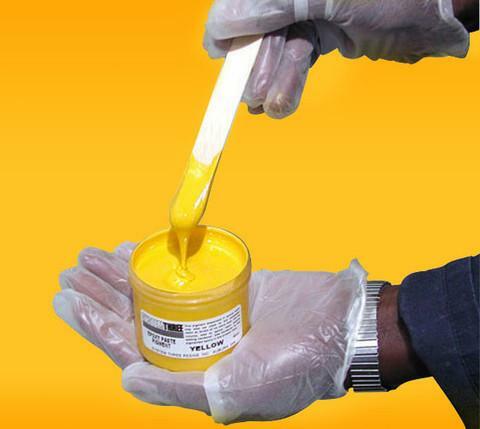 Epoxy tends to leave a yellowish tint when set, so it is important to note that the colors may shift in shade after being mixed with the epoxy. Therefore, it would be wise to first start adding color to epoxy in a small container (e.g. a one ounce mixing container, a small disposable travel container, etc.). 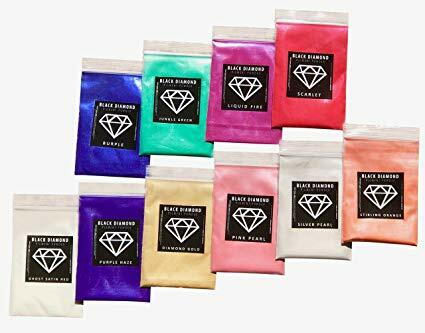 This is to ensure that you’re happy with the color produced, and that there are no surprises when mixing in a larger scale batch. In these small containers, 3 drops of your color of choice should suffice for most pigments. As with the process of curing regular epoxy, the process of how to color 2 part epoxy is virtually the same. The epoxy and the hardener should still be mixed in the 1:1 ratio, or as the directions instruct on the package. Once the two main ingredients are mixed, it is time to add the pigment. When adding the pigment to the mixture, it should comprise anywhere from 2-6% by weight (generally speaking--there are always some exceptions) of the mixture. Depending on how translucent or opaque you want it, keep adjusting the amount of color added into the mixture until you achieve your desired result. Powdered pigments tend to leave little specks in the finished resin pigment. If you’re going for that look, then chalk, watercolor paint, eyeshadow, or any other loose pigment should be the go-to choice. However, if you want more of a consistent finish (sans particles), then liquid pigments are your best bet. Alcohol ink is an inexpensive liquid pigment that is popular amongst choices for epoxy resin dye. That is due to its opacity, while still retaining the ability to be transparent when placed in front of light. Many creators use this as the pigment of choice when creating table top masterpieces, and for good reason. Transparent dye yields similar results to alcohol ink, but it is a tad more on the pricier side. However, if you’re still stuck on which pigment to use, stores often sell resin pigment colors. These are created to be mixed with epoxy only, thus making them ideal candidates for your next project. Some even go as far as to sell phosphorescent pigment that glows in the dark. The glow in the dark pigments are pricier than regular pigments, but it truly does bring your project to the next level. 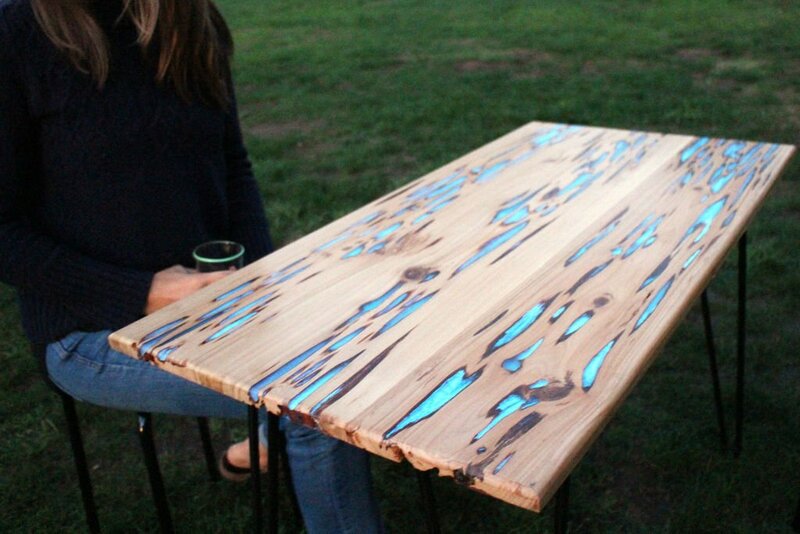 Many individuals associate the waterfall tables with new projects, but the reality is, using pigmented epoxy to fill in cracks and dents in a table yields an equally stunning result. 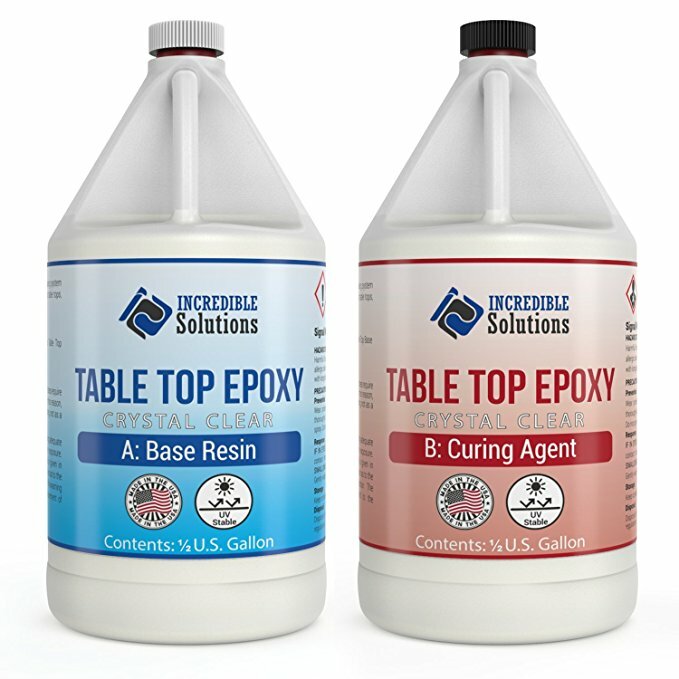 Epoxy resin is a widely-used substance that serves as an inlay for woodworks of all kinds. It’s truly as simple as mixing your pigment, and pouring it into the dents or the mold you desire. Even though there is moisture present in the wood, the epoxy resin does not have a negative reaction with it. It’s an ideal choice for a wood inlay due to its durability and high-gloss finish. For coloring epoxy woodworking, the best method is to overfill the grooves, then (once dried), sand down the top of the wood until all the bubbles that rose to the surface are gone. Eighty grit sandpaper is recommended to start with, as epoxy is not that strong of a substance. Finishing a wood project with some sort of wax or topcoat seals in the epoxy, and gives a glossy finish to the work. Overall, adding pigment to epoxy resin is as fitting for master woodcrafters to the avid art maker at home. While many of these projects look intricate, the actual process of coloring epoxy is quite simple.